It was a big day for Freedom Alliance when we partnered with physically challenged sportsmen for a dove hunt in Fort Morgan, Colorado. We hosted 14 veterans for the complimentary hunt, including Ricky from Colorado Springs, who received a grant from Freedom Alliance in 2012. The fellows met early in the morning at the local community center and split into teams. Three fields were donated for this event, and the men made their way out and hunted until lunchtime. 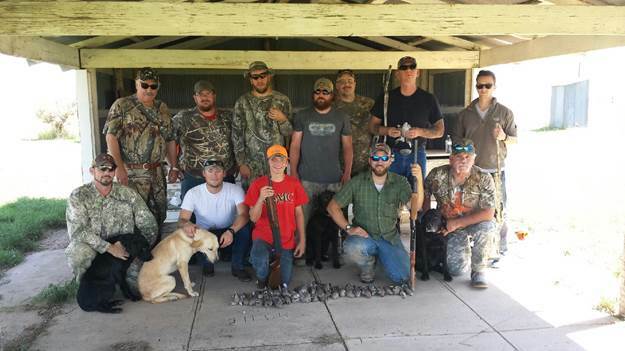 After the mid-day meal, several participants had to call it a day due to their disabilities, however, those who were able to stay, could choose to continue to hunt doves in a millet field, or, for a change of scenery, try their luck with prairie dogs. The prairie dog hunters spent about two hours in the field; meanwhile, the other group racked up 45 doves, with a grand total of 90 for the day. This was a great opportunity for combat veterans, who deal with physical and emotional injuries, to mingle with others who are coping with handicaps. Furthermore, it gave the troops a chance to enjoy a favorite outdoor pastime, at their pace and in their honor.